21 Handmade Wrapping and Decoration Ideas…. with tutorials. 1. Button Cards by Martha Stewart. 2. Downloadable Gift Tags by hello, Good Gravy. 3. Paint Chip Wrapping by D sharp. 4. Pop Up Christmas Cards by Martha Stewart. 5. Nature Packaging by Justina Blakeney. 6. Stitched Wrapping Paper by Redefining Creativity. 7. Fabric Giftwrap by Chewing The Cud. 8. Recycled Fruity Packaging by Tokketok. 9. Threaded Christmas Cards by Bleach Black. 10. Paper Bauble Garland by Kidspot. 11. Filled Baubles by Country Living. 12. Felt Doves by Elsie Marley. 13. 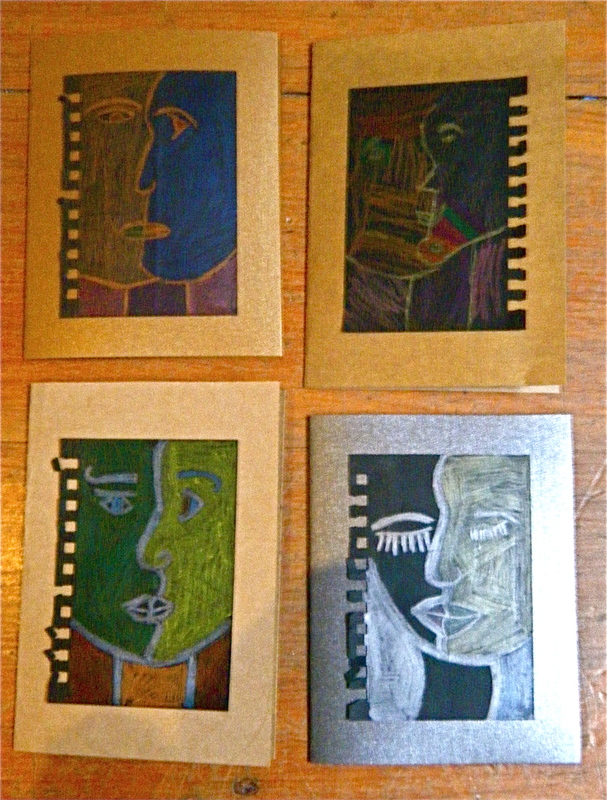 Photo blocks via Screen Print Blog. 15. "You mean the world to me" Ornaments by Maya Made. 16. Wire and Twine Star Garland by The Handmade Home. 17. Paper Christmas Tree Ornament by Elsie Marley. 18. Chalkboard Wineglass Tutorial by Just short of crazy. 19. The Gumdrop Garland by Martha Stewart. 20. Lego ornaments by Chris McVeigh via Ohdeedoh. 21. Christmas Tree Mobile by Not Martha. Soooooo easy, you could probably get the kids to try it. 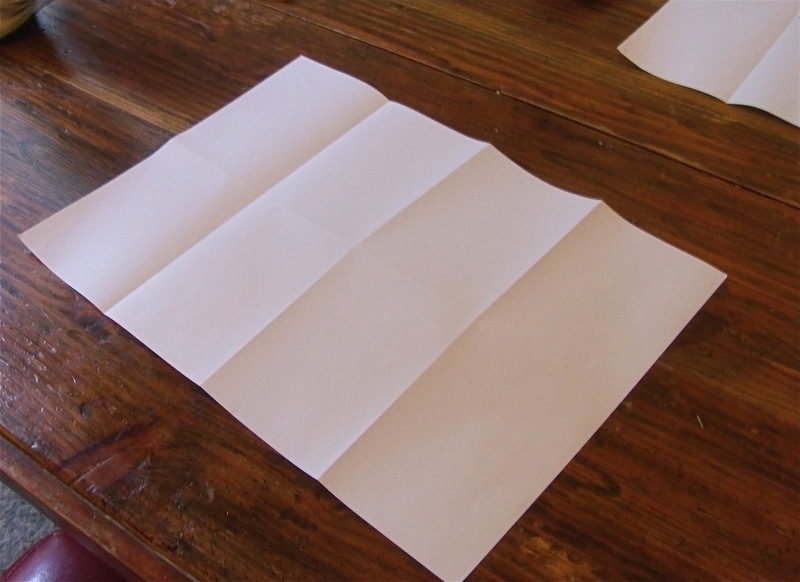 One of the first things sewing teachers used to do to get the student acquainted with the sewing machine was to get them to sew lines on paper. This project is pretty much just that. It is a winner, and as thrifty or as expensive as you like. Try: with school age children……not as decoration, but as a craft. 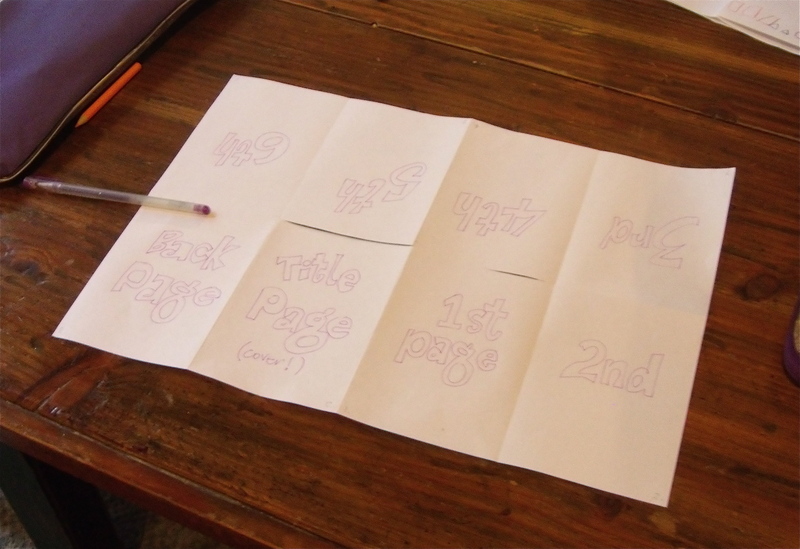 On the blog Art projects for kids, Kathy Barbro shares a project she does with 9 year olds. I mentioned it on my giant list of holiday fun things. Cubism like Picasso’s. I thought given my girls were on both sides of this age group I would give it a go. 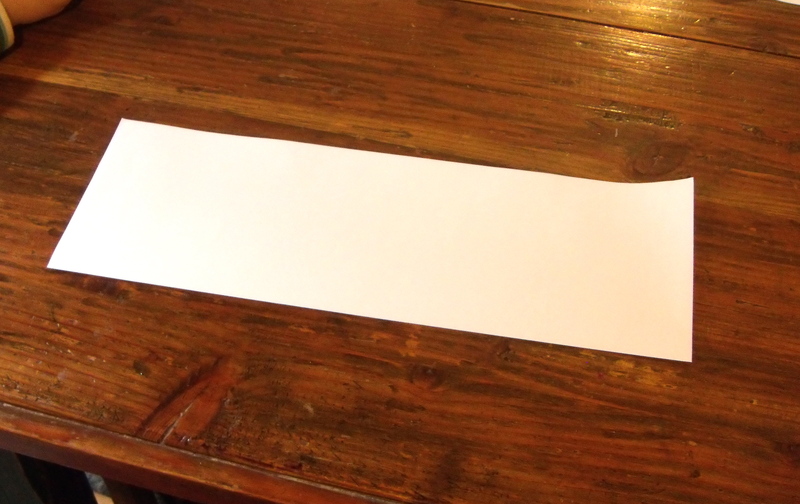 Size of paper. We used A7 black paper. Why? I find it’s good to try a new technique small. That way, it gets finished and they learn a new technique. We are all different, so one child might like the new art form, and another may not. Going small allows everyone to finish one, and for the keen beans to do more! Good quality coloured pencils not oil pastels. Why? Oil pastels are messy, pencils aren’t. We love these ones. Doing a smaller artwork meant the areas to colour were smaller, and this is easier with a pencil. 10 year old liked the technique and so made another A5 size drawings and used pastels for it. Metallic pencil for the outline. Why? We had them in the house, and metallic pencil on black paper makes even a simple drawing look fantastic. Made them into cards. Why? 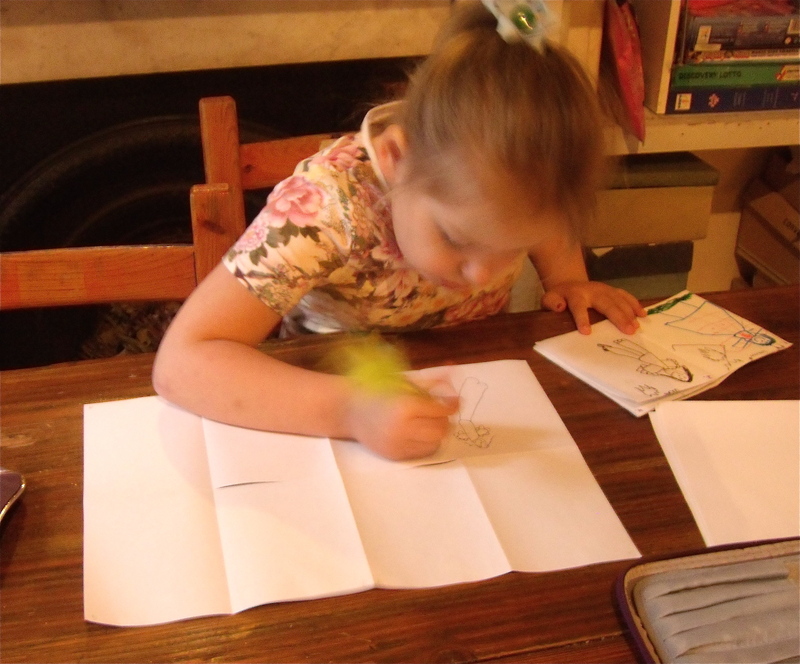 We are in a cardy kind of mood at our house and it’s a great way to use mini picassos. From top left clockwise: 10 year olds, 7 year olds, 11 year olds and mine. REPOST: I love one-on-on time…. and so does she. Wednesday was lovely in so many ways! Whilst the 10 and 11 year old were off having a few days with the grandparents (thanks guys!) 7 year old and I had some rare one-on-one crafty sewy girlie time. We used the sewn heart card project I mentioned and linked to in the giant list of things to do. 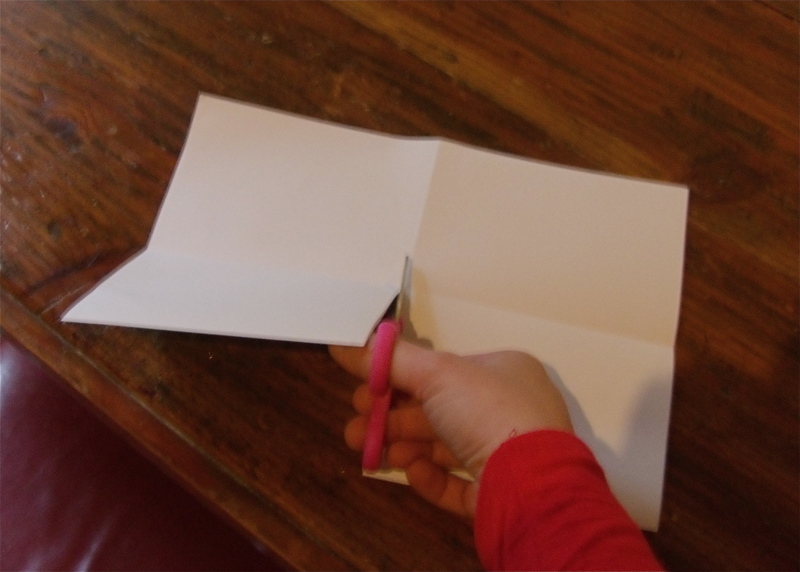 I cut the shapes from the box of paper scraps, selecting only the pink and white papers. After making a pile of hearts in different sizes, I also made a pile of square and rectangle shapes, and a pile of the heart outlines. I then found some pink and white buttons and thread to add to the mix. Here is what my clever little sausage made…. She has even sold 3 cards so far to friends and given one away! Third children rarely get time with mum alone, especially to do something fun and learn a new skill. Learning to sew through paper/card is an excellent starting point because the paper is firm and doesn’t get ‘bunched up’ when you sew over it. It stays where you put it. There are lots of little steps to sewing even straight lines…. I only realised when I tried to show someone else how to do it. In design, it is sometimes helpful to reduce the possibilities. This is especially true with kids because every element you add requires more skills from them but actually decreases the creativity. In this project, I opened up one new possibility at a time, as she mastered the previous one. She’s a really fun kid who’s skill at learning new things surprised me. The school fete is fast approaching, so I have been raking my brain and the internet for some inspiration. 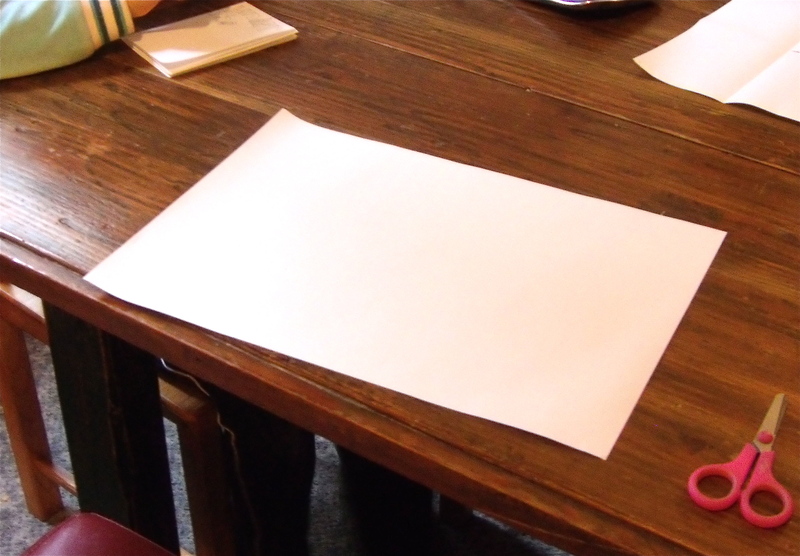 As usual….lots of ideas….not a lot of time/money to create some craft stall winners. So….. what I would love from you is some feedback. What should I (and my band of crafting mumma’s) be spending our hours making? Please let me know in the comments below what you would buy at a school fete and a rough price. Also if you have kids….ask them. Lots of kids bought things from the craft stall last year. I would love their feedback too. 'Make It Modern' boxy pencil case tutorial. Image from blog. Cupcake bath bombs.... aren't they adorable. Image and tutorial from Little Birdie Secrets. Fabric Headbands. Tutorial and Image from Foofanagle. Galactic Sparkly Playdough from Neatorama. Image theirs. More girlie Sparkly Playdough by One Crafty Mumma. Image from her blog. Sleep masks. This panda one is too cute. I think I could maybe try some other animals as well. Idea and image from Craftster. Fabric boxes at 'The Sometimes Crafter'. Tutorial and photo from her blog. Cute baby shoes...... Image via Jennifer Ladd for Sew Mama Sew. Fabric wall hangings. Image from Sew Much Ado. Egg-cup pincushions by 'The Sometimes Crafter'. Image hers. Tea Cup Pincushion by Punk Projects. Image and tutorial hers. 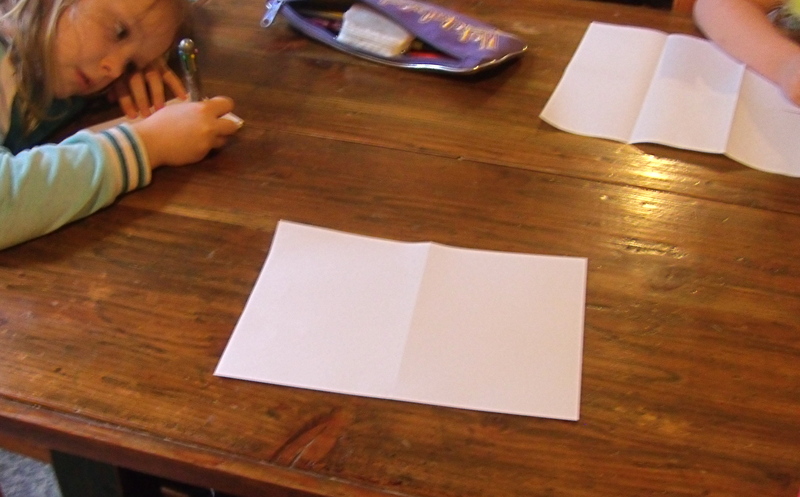 Kit ideas….so the kids can do it themselves. Seed bombs.....either made or as kits. Image from Gardening Australia. If you have never heard of these….and the picture isn’t helping at all. Have a look at how to make Seed bombs. This could also fit into the next category…. things for kids to make and do. 'I could make that' corner bookmarks. Image and tutorial from that blog. If you want to make any of the crafts yourself, all the images have a click through to a tutorial. The fast approaching holidays is a good time to try some of them out. For an idea of what we made for the craft stall at last years fete, look here and here and here. Open the fold back out. 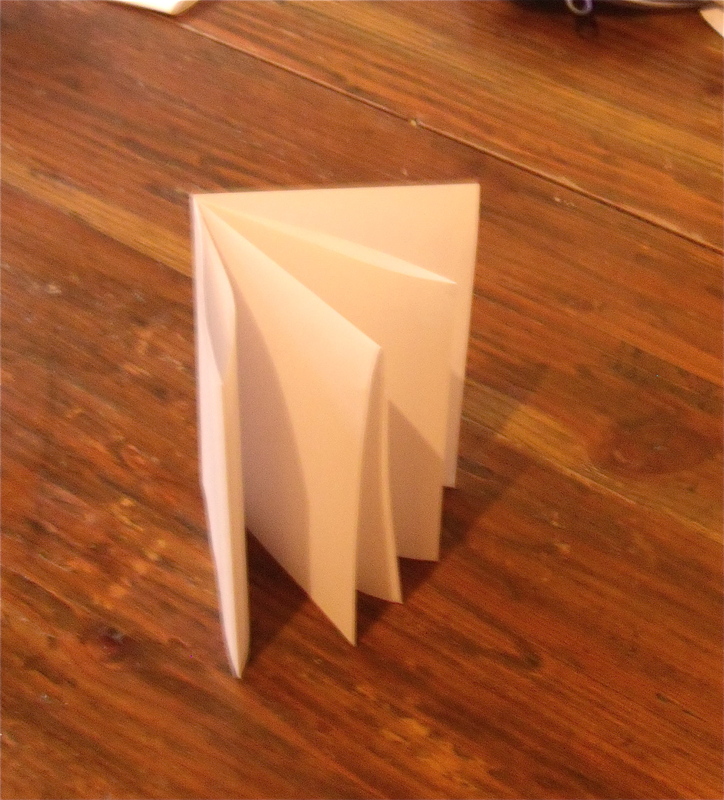 Fold it in half again the same way...ie last 2 folds parallel to each other. Open it all back out flat again. 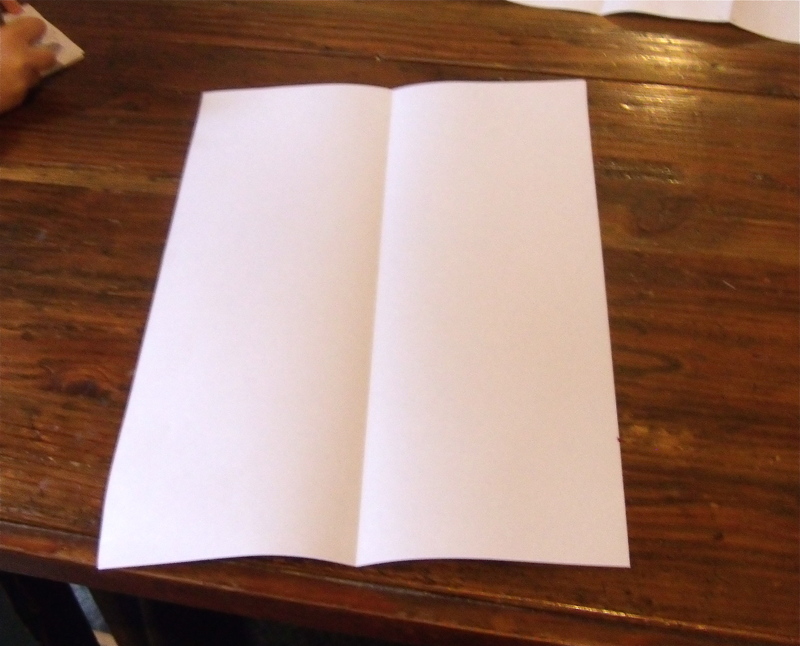 Your page will be divided into 8 even rectangles. 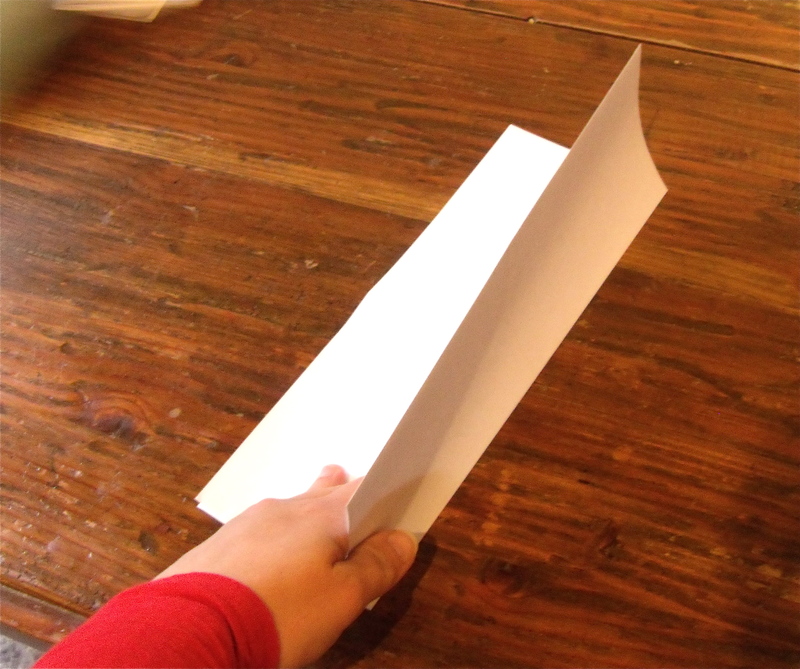 Fold the paper in half again....(the long side halved by the fold). Cut along the crease line from folded side to where the creases meet. 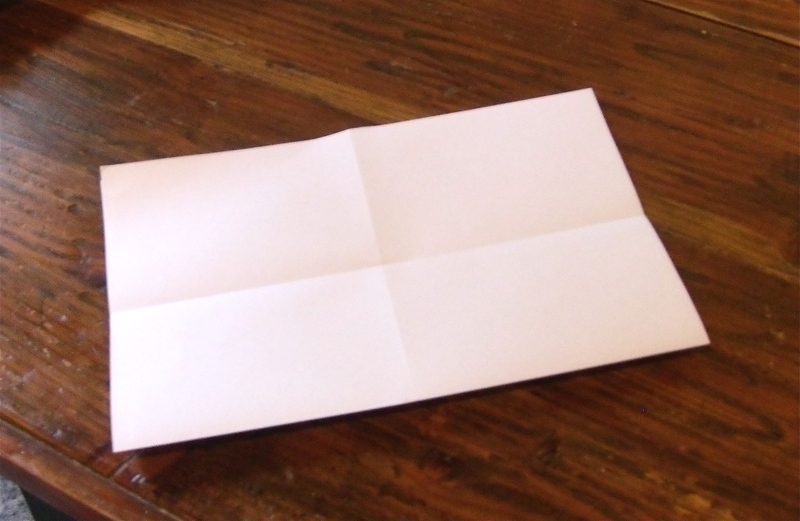 Open the page out again then fold it in half lengthways again until you get this shape. 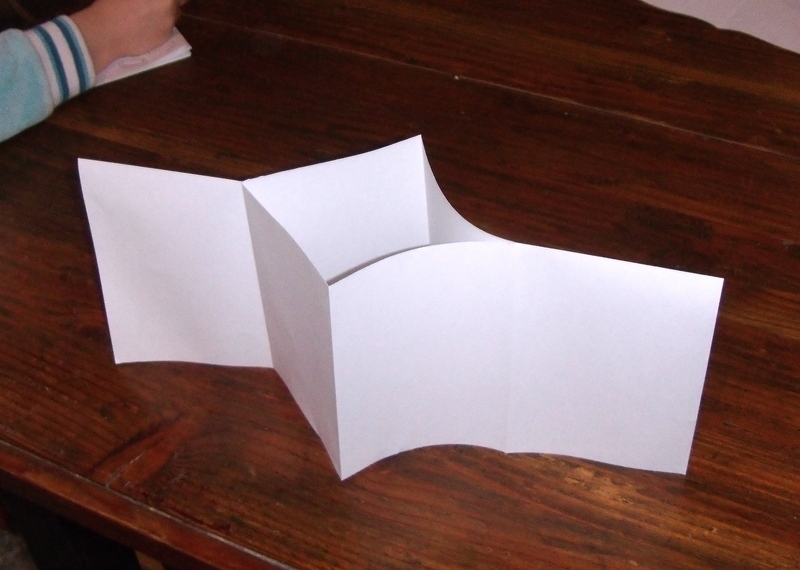 Push the ends together until the paper forms a + shape.... then fold the paper onto itself to form the book. After you have done that... lay the book out flat again. The page sequence is shown in the picture. ....or open. 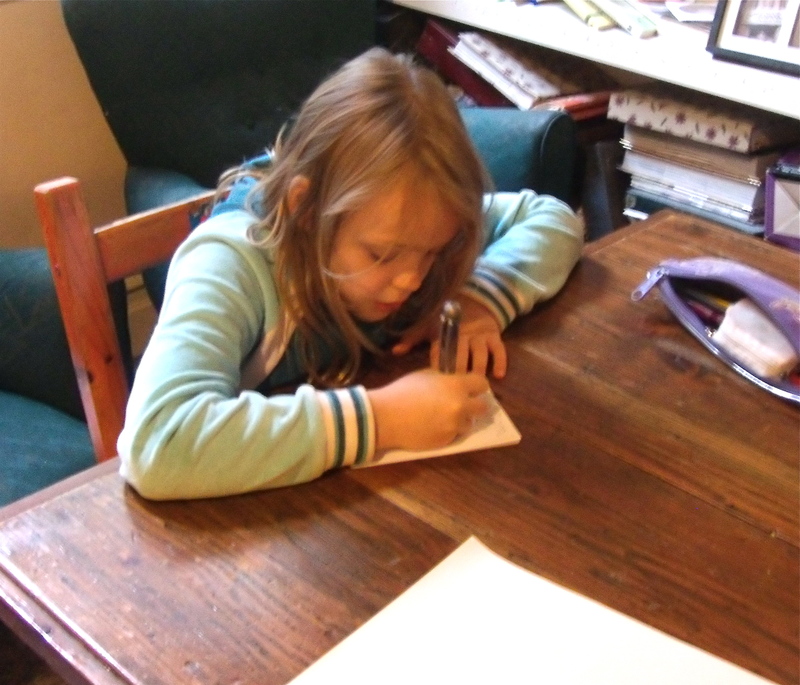 5 year old looking back at a finished book to check her mermaid drawing. This one is so easy you could do it today ….I love craft activities like that! P.S. Sorry about the quality of the pictures. The light in our lougeroom is a shocker. How fabulous is this bookmark!? The Wicked Witch of the East by Oops, I Craft My Pants. Image from her blog.